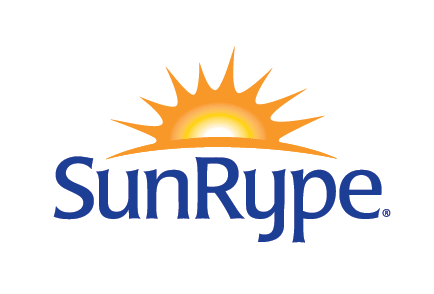 The SunRype TRi KiDS Triathlon Series offers safe, non-competitive, confidence-building races for children and youth ages 3 to 15. TRi KiDS events combine three sports kids love: swimming, biking and running. We celebrate participation with the goal of encouraging a positive, healthy attitude towards physical activity and instilling self confidence. The achievement of each athlete is recognized…and not just at the finish line! We believe if children and youth engage in activities in a positive and supportive environment they will be active for life. The TRi KiDS commitment is to create memorable events where the athletes are the focus and their participation is celebrated by their family and friends, our volunteers and us. The 2019 TRi KiDS season includes races in the beautiful Okanagan Valley and Burnaby, BC. TRi KiDS returns to Alberta with our 6th year in Calgary and the Ontario stops include a race in Burlington, Milton and Niagara. For youth ages 14-17 we offer TRi YOUTH in Milton. As of January 22 there are only 80 spots left in Burnaby and 100 spots in Burlington. Very popular races – register soon! TRi KiDS Niagara - August 18th. A great region to spend the weekend with the entire family. Just 150 spots remain. Get a move on if you would like to join us! Something you hear all the time is that volunteers are critical to the success of any event. It is absolutely true. In return for your time we can offer you smiles, gratitude, pizza, an event shirt, snacks and more smiles! This was the second year that our children have participated in the Burlington Triathlon and this year was another OUTSTANDING year. My husband and I have been so incredibly impressed with your events – the professionalism – the overall vibe of the events are so positive and encouraging…a huge thank you for running these events and encouraging athletes of all abilities to participate, have fun and succeed! You should feel really great about the work you do – it goes a long way to building confidence and esteem in many, many children. So again – a huge thanks – and a special shout-out to all the amazing volunteers too! Excellent event. Well run. On time. Nice quality medals at the end. Ability to get the stuff out of the transition zones allows families to get on the road back home which is appreciated. Overall, the volunteer team and organizers should feel very proud of the event. Very well run. I just wanted to send you a note to thank you for putting on such a wonderful event! We cannot say enough about our experience yesterday – it was so well organized! The highlight was to be able to cheer on and encourage not only our daughter, but all of the children who participated. It was very rewarding to see so many children out being active and to see the enthusiasm, pride, and the satisfaction of such an accomplishment on their faces (and those of parents). I will never forget the image of watching my daughter come across the finish line and the pride I felt! Thank you for bringing this event to BC!